Today I'd like to invite you on a sneak peak into a playroom home design project! Many thanks to Rachel for offering to share her story, and answering questions about her experience! Scroll to the bottom to read her reactions. There were too many choices available at one time for her two children. There wasn't anywhere for the toys to be returned to in an orderly, organized manner. Once we got these easy discards out of the way, we began sorting all the rest of the items by type. All the puzzles, all the trucks, all the stuffed toys, all the musical instruments, kitchen play food, books, etc. Then, it was really clear what else could be given away, as Rachel saw any duplicates of toys right next to each other. 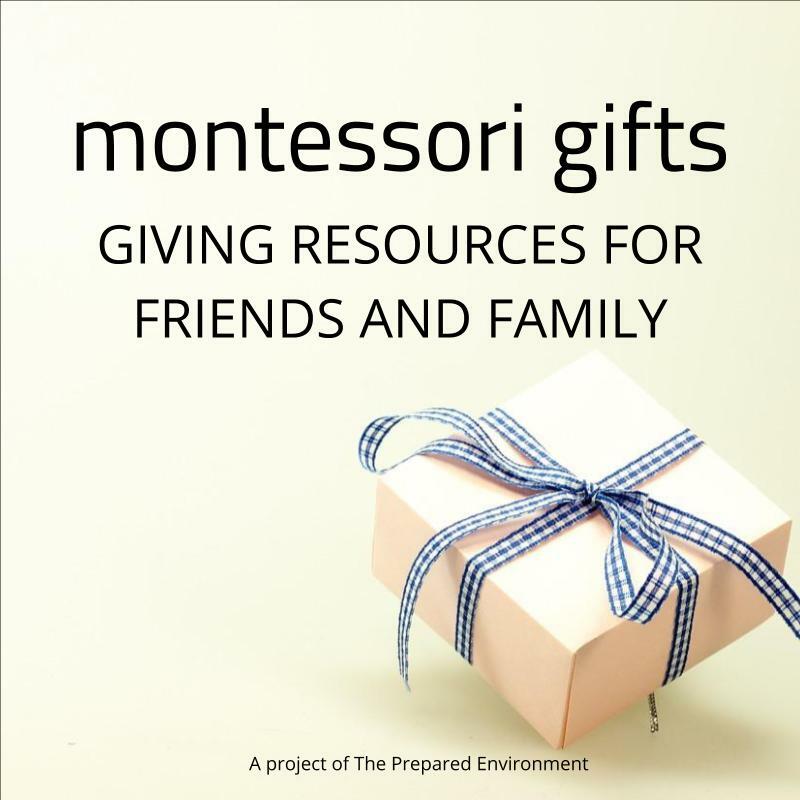 We talk about what specific qualities in these toys were helpful to her children's development now, and what might be helpful in the future. I encouraged her to choose 2-3 items from each pile to keep available now, and then give away or store the rest. Stored toys can be rotated every few weeks (or longer) with a simple one in, one out policy. It's like having brand new toys all over again! 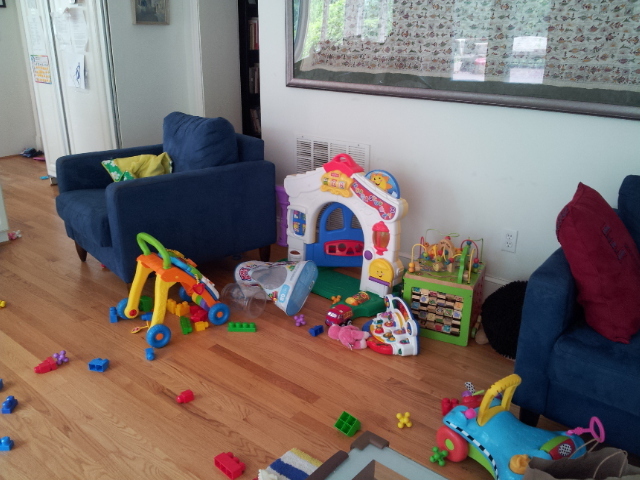 Now, with our thinned out collection of toys, we were able to find homes for everything in the playspace. We kept her two year old's toys on the lower shelves, and used the higher ones for art materials that her 4 year old could access. Everything got a label so it was easy for the adults to help keep things tidy. Rachel used clear boxes so her children could easily see what was inside. How did you feel before you called me to come out and help with your playroom? How do you feel now, since we cleaned and organized what is there? How are your children using the space differently? 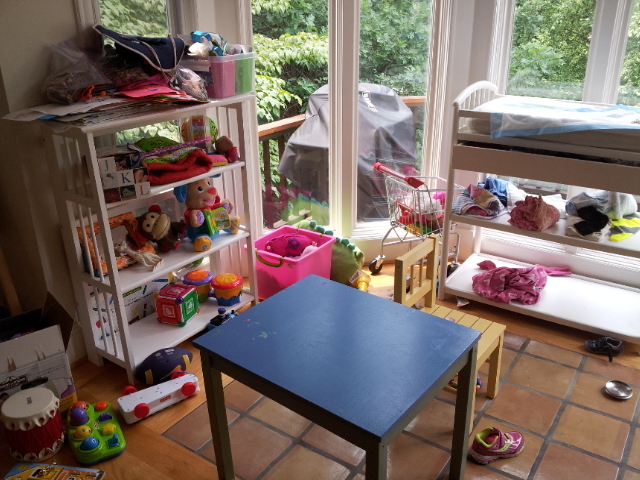 (2) toys that they enjoy but that were cluttering up the playroom and are similar to other toys that we have (those are now in the basement, and the plan is to rotate them with the other toys periodically). I had thought that it was good for the kids to have lots of things to play with, but it turned out that it was too overwhelming. Things are now well-organized, and both kids have a much better idea of where to find the things they want to play with. And cleaning up is easier because there's just not as much *stuff*. What was your favourite (or most helpful) part of the process? What is your favourite part of the new organized playspace? (2) getting your expert insight on what should stay and what should go (whether temporarily or permanently). In terms of my favorite part of the new playspace, I like that it's much easier for the kids to find their own things, and especially to get their own drawing supplies, which they both love. And I like that at the end of the day, even when we haven't been as good as we should be about having them clean up throughout the day, there's not SO much to clean up because there's just not as much there in the first place! They still have lots of things to play with, but it's just much more manageable. Learn more about Home Design Projects here.